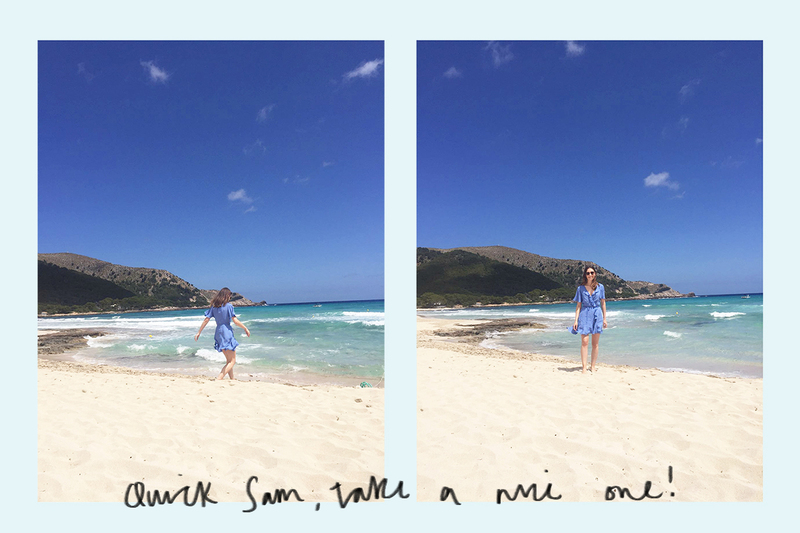 Bear + Crocodile: Postcards from Palma Part 2! Sam and I barely did any research before we went away which meant we had no idea where we were going a lot of the time. 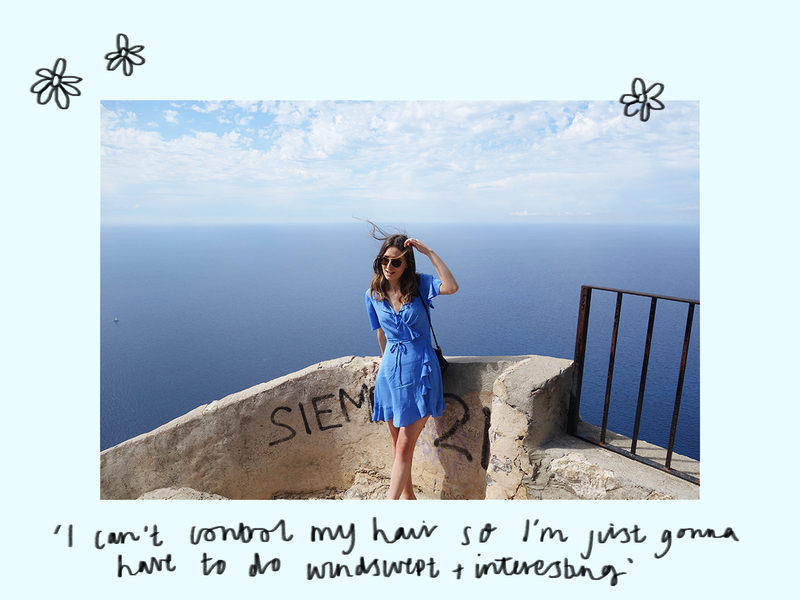 We'd rented out an old Nissan Micra (unfortunately navy on the outside with molten hot black plastic inside) and so decided we wanted to make use of it to explore the island. 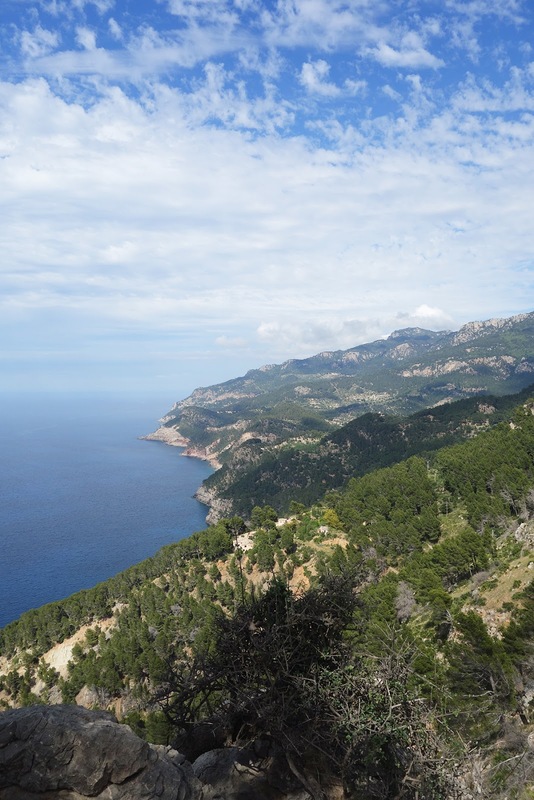 We had heard about a picturesque driving route that took you winding past the coast from Palma to Soller. We set up our satnav and away we went! 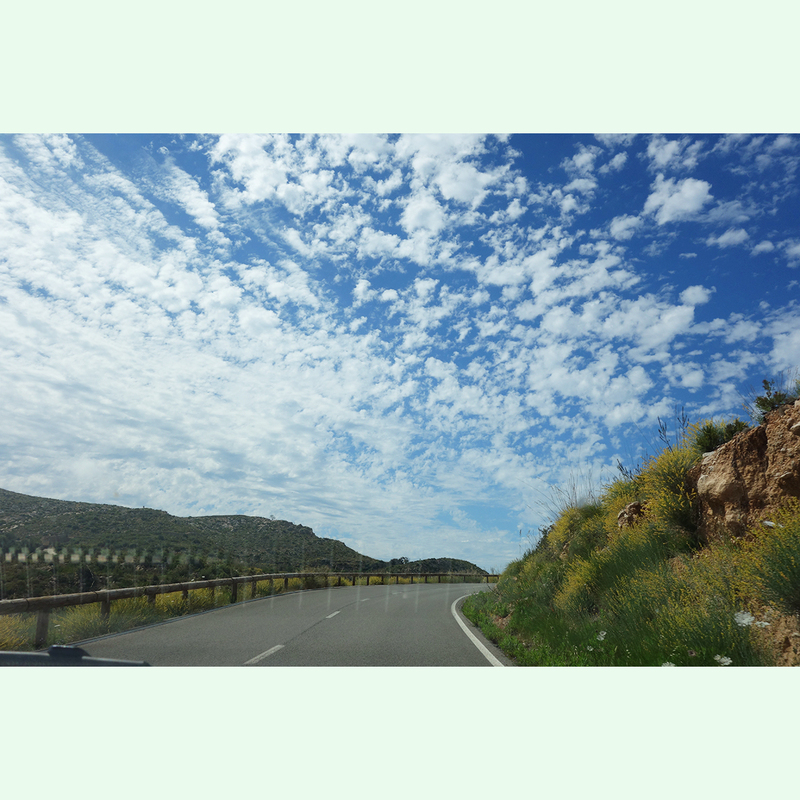 The whole route was anticipated to take a few hours, but there were tons of beauty spots along the way and blue skies keeping us company on the way down. 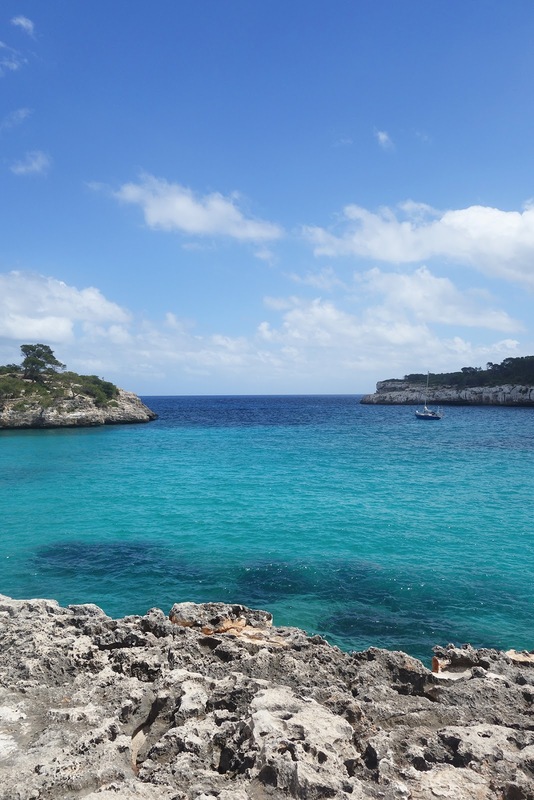 Our first stop by the roadside was a pretty spot overlooking one of the island's many coves. It was pretty damn windy and so a floaty dress was perhaps not the best life decision I had ever made. The scenery was so good I even managed to wrangle a photo out of camera-shy Sam. One for the history books! 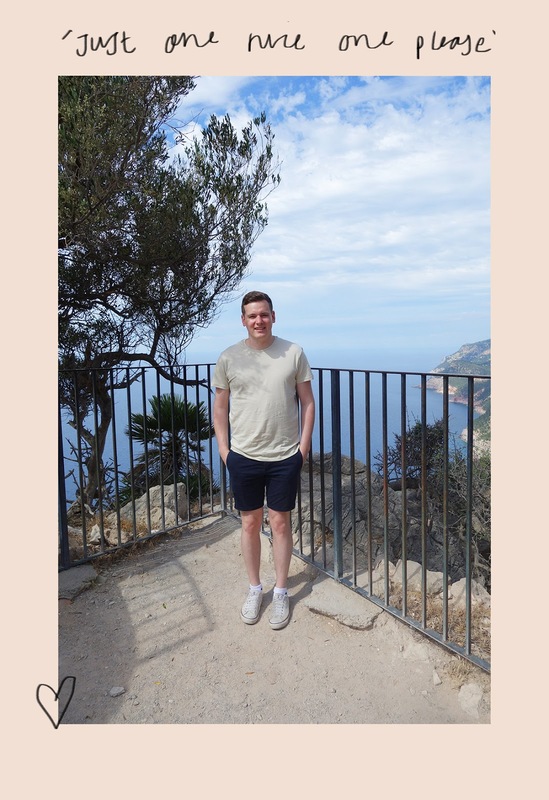 Photographic evidence Sam made it to Palma, folks! As far as lay-bys go, these were pretty ace. 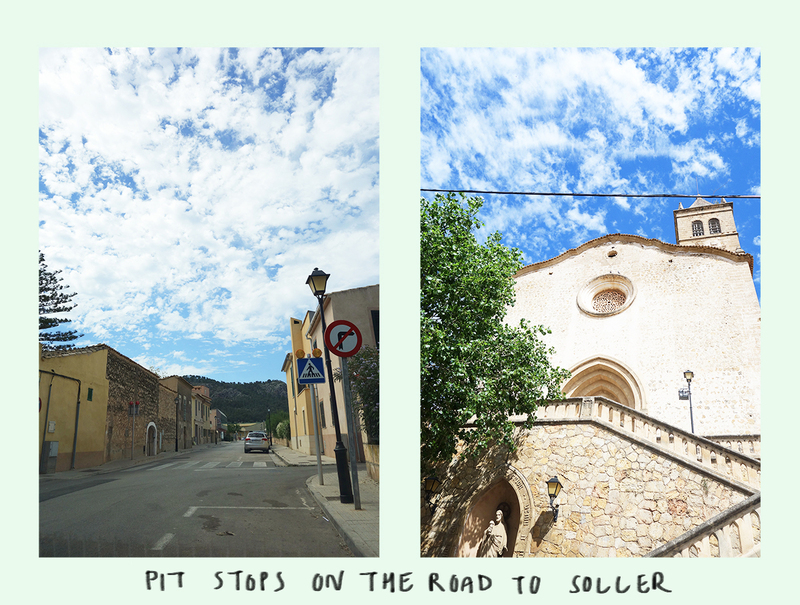 We continued onward in our sweaty noisy car towards Soller with a spring our our step and Fleetwood Mac on the radio. 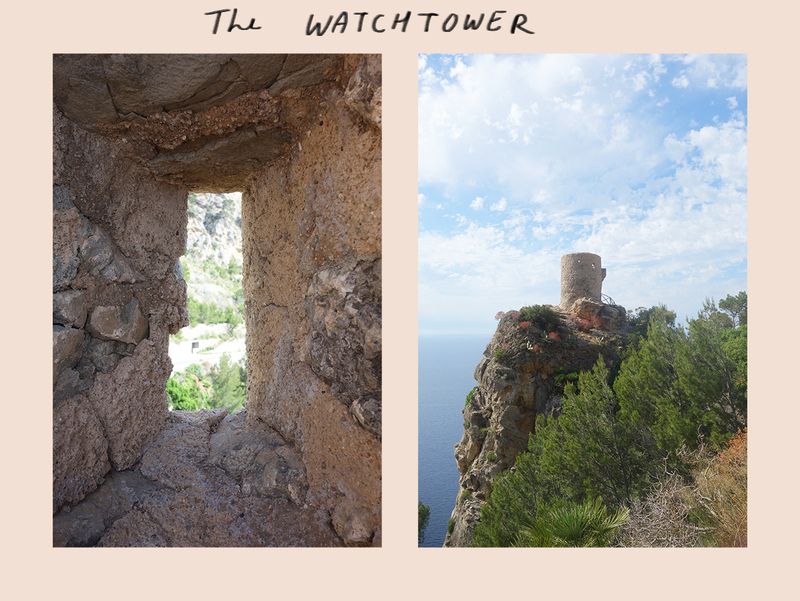 Before long, we reached a beautiful old watch tower. 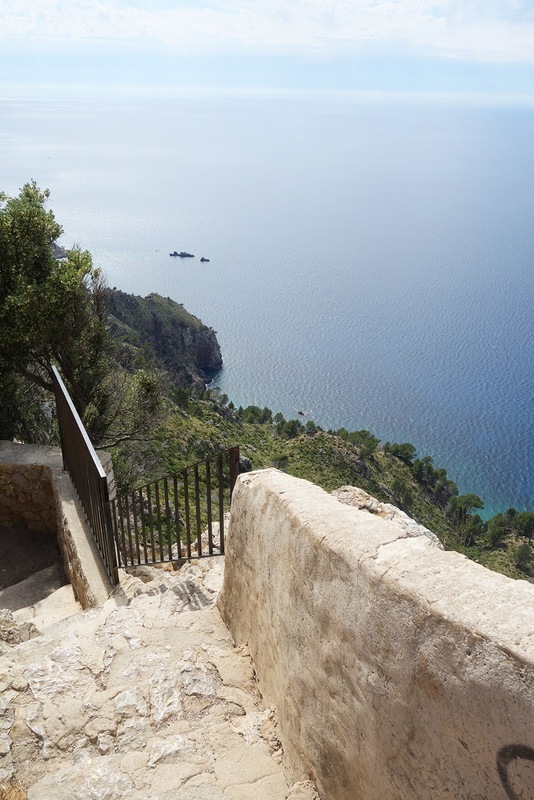 To reach the top you had to climb a narrow stone staircase and a rickety ladder (not ideal in a dress), but you had views for miles around. 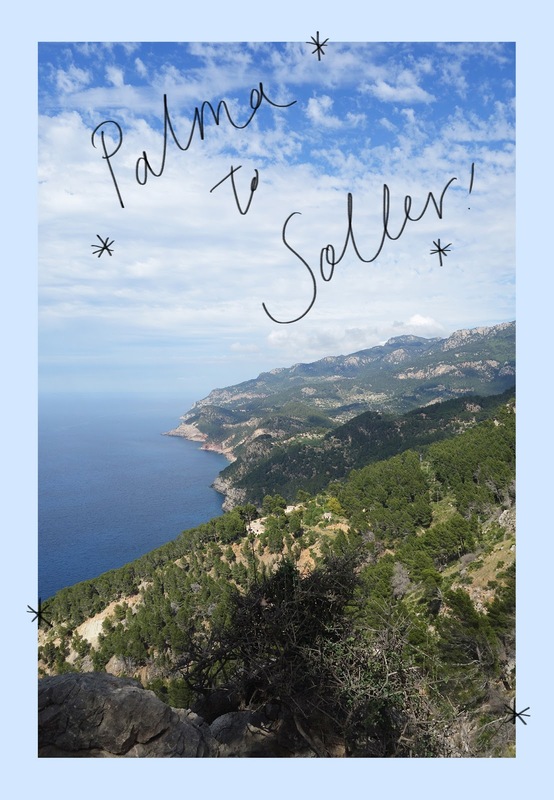 Eventually we reached the end of the end of the road and arrived at Soller in the evening. 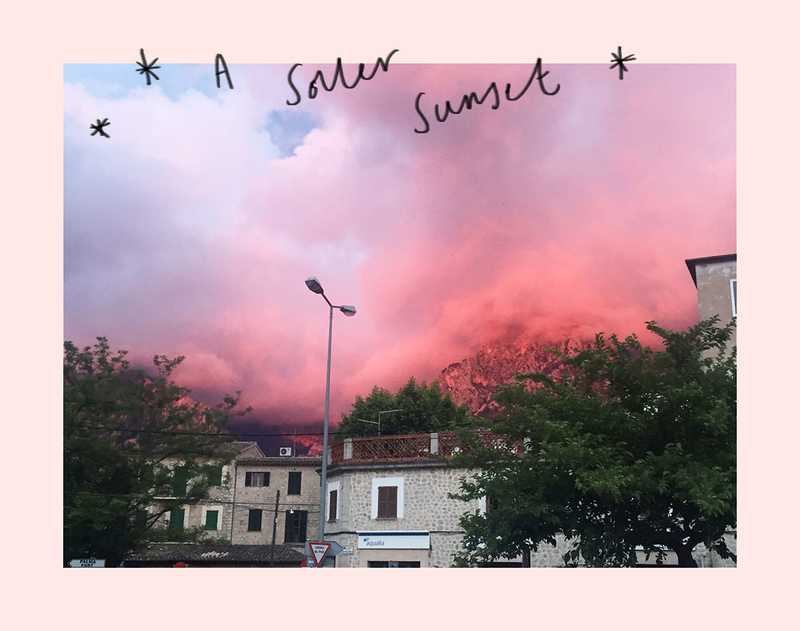 The sun was setting a signature Palma shade of pink, we found Tapas for dinner and the world was our oyster. 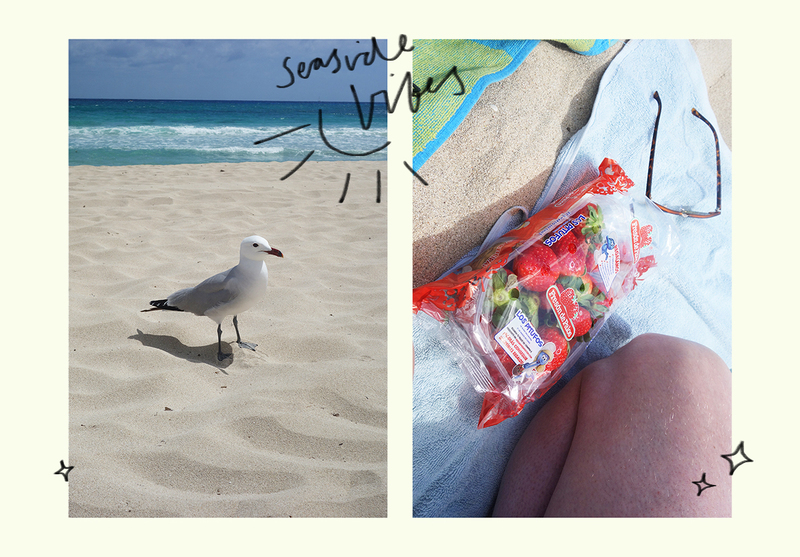 We drove home and planned our route for the next day, beach hopping! 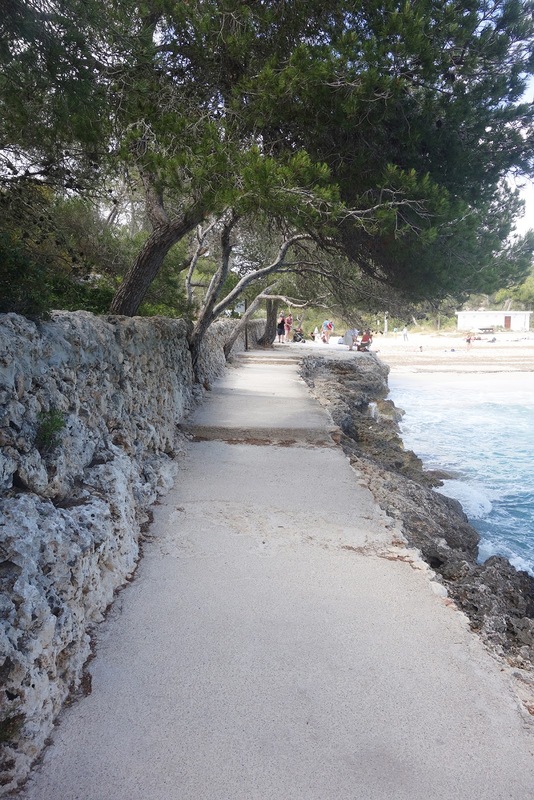 The first beach we visited was Cala Agulla. It was pretty, spacious, and picturesque. That being said, the shore line was pretty steep and the waves were too big to combat for a quick paddle, so we had a quick picnic and headed onward. 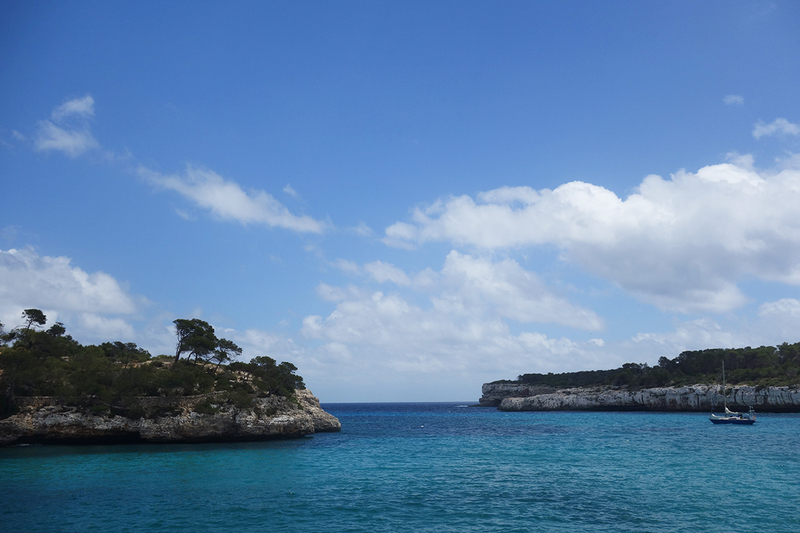 We visited a few coves and creeks along the way before arriving at Cala Mondrago. 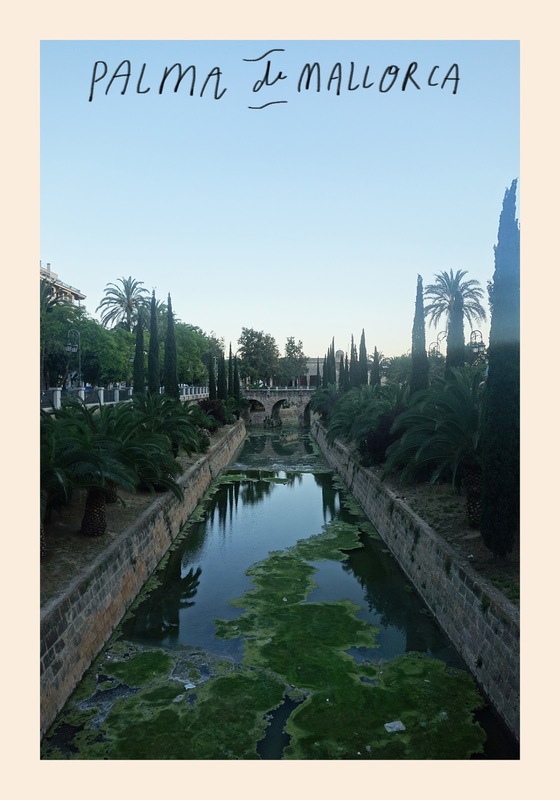 A Spanish heritage site, you had to wander through the undergrowth to reach the shore. It was turquoise waters and aquamarine skies as far as the eyes could see. A real beauty spot to behold! 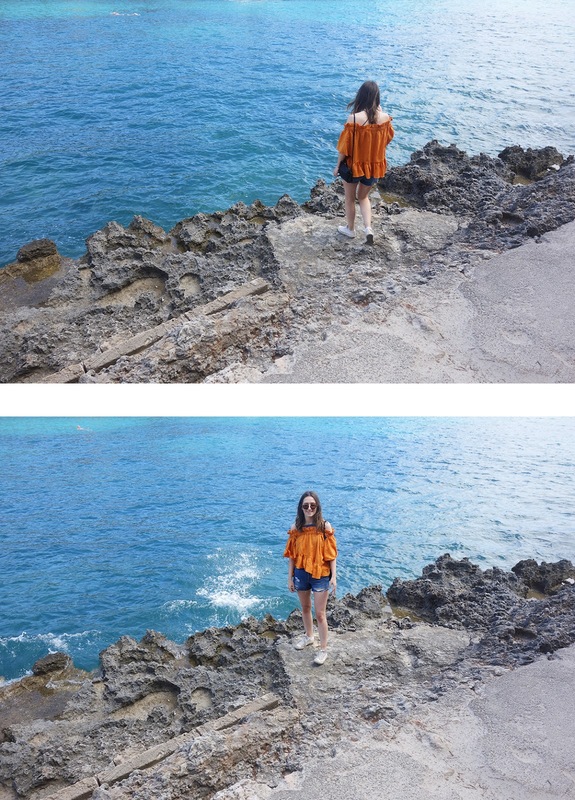 Fortunately, I remembered at this point that I had brought a change of clothes so I was able to clamber over the rocks free as a bird. We whiled away the afternoon here before getting set for the long 'ole drive home. We had found an amazing Tapas place in the city that we wanted to visit, but after driving to-and fro to find a parking space we gave up and decided to wander down to a local pizzeria instead. Dos Vegetarianos and a bottle of coke for us and up to the balcony we went. A night under the stars, with pizza for two and a sea view, muchas gracias Mallorca!